Additionally, on the 4th of October TAAKE will headline at Norwegian Hellcamp, a first of its kind festival whose lineup features some of the top Norwegian bands at the extreme end of the spectrum. Norwegian Hellcamp will take place at the Stadthalle in Schweinfurt, Germany, and also appearing alongside TAAKE will be VULTURE INDUSTRIES, RAGNAROK, SARKOM, ENDEZZMA, SLAGMAUR, AURA NOIR and DEN SAAKALDTE. 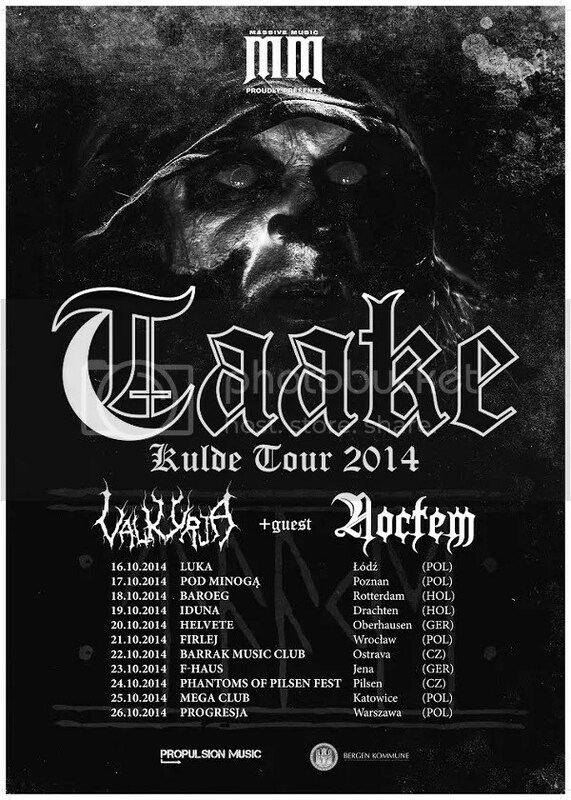 Dark Essence Records recently announced that TAAKE would be releasing a new album later this year, and further information will be available shortly. From feedback received from the recent listening session the label held at the Beyond the Gates Festival in Bergen, where a few tracks from the album were played, it is clear that even after over twenty years TAAKE’s iconic frontman and founder Hoest continues to bring freshness and originality to the scene with his unique brand of Helnorsk Svartmetall.